Island Mazda in Staten Island, New York has a great selection of the all-new 2017 Mazda3 sitting on the lot for you to pick from! The 2017 Mazda3 is available in a four-door sedan and a five-door hatch body configuration. Two engines are available: a 2.0-liter SKYACTIV-G four-cylinder that delivers 155 horsepower at 6,000 rpm, while developing 150 lb-ft of torque at 4,000 rpm; and a 2.5-liter, DOHC, 16-valve SKYACTIVE-G four-cylinder with variable valve timing that makes 184 horses at 5,700 rpm while generating 185 lb-ft of torque at 3,250 rpm. The 2017 Mazda3 returns refined and repackaged with added standard content, including G-Vectoring Control, a Mazda-exclusive technology that uses the engine to refine steering and handling to match the driver’s inputs, and enhanced sound insulation to complement Mazda3’s redesigned, upscale interior. This year, the Mazda3 4-door sedan shows off an updated grille and new available LED headlights. They reinforce the car’s low, wide stance, which is a theme that carries through to the rear, where there’s a newly designed bumper to match. The 18-inch aluminum wheels also have a sporty new look. Open the door and you’re greeted by a typically gorgeous Mazda interior. It’s clean and tasteful without unnecessary flash. Changes this year include a new steering wheel, which debuted in the 2016 CX-9 and is also available heated for the first time. The doors feature increased storage with larger, wider door pockets with additional new storage on the center console thanks to a new electronic parking brake. 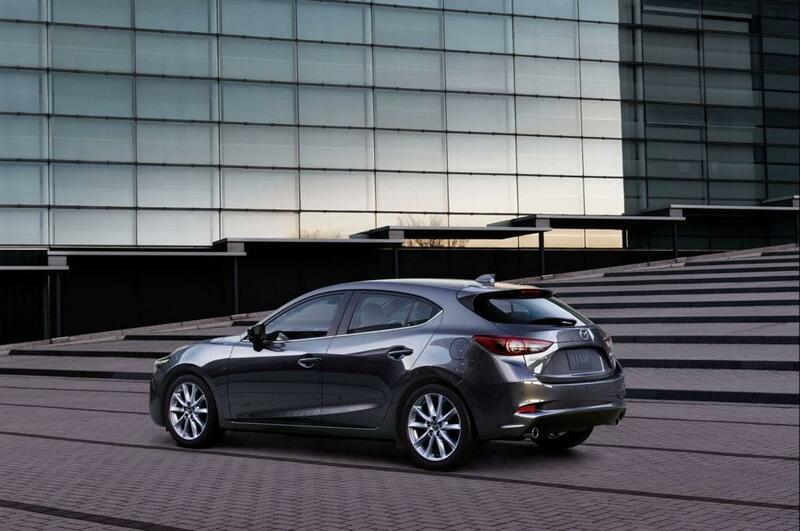 The Mazda3’s trim levels have been simplified. For those seeking the engagement of a manual transmission will likely be happy to learn that the top-level, stick-shift Mazda3 Grand Touring is now available with the Premium Package and i-ACTIVSENSE suite of advanced safety technologies – features that were previously reserved for Mazda3 models equipped with the available automatic transmission. Stop by Island Mazda in Staten Island, New York to test drive the all new 2017 Mazda3!